How to connect Freshservice/Freshdesk if you’re using SSO? 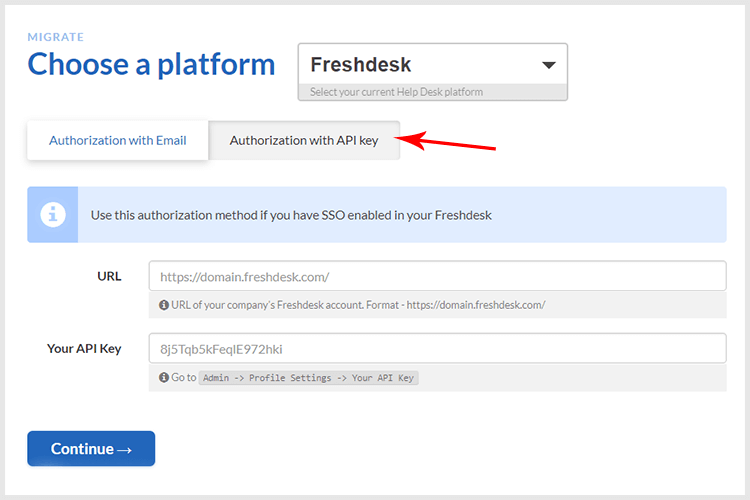 All you need in this case is the URL of the company's Freshdesk/Freshservice account and an API key, which you can locate following this instruction. 2. Enter your credentials and proceed to the next step of the migration. In case you face any difficulties, feel free to reach out to our support team.